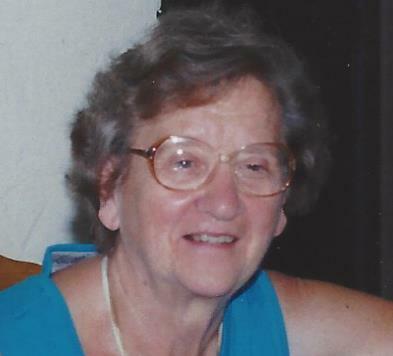 Virginia C. (Erb) Davis, age 91, of Point Road, Schellsburg died at 6:11AM Wednesday, August 22nd, 2018 peacefully at UPMC Altoona Hospital. The daughter of the late Roy H. and Bertha E. (Yuhas), Virginia was born in Johnstown on August 16, 1927. She was a housewife and a member of St. Thomas the Apostle Catholic Church in Bedford. The widow of Joseph J. Davis whom she was married to on May 6, 1949 until his death on August 20th, 2007. She is survived by Daughter- Karen A. Davis, Schellsburg; Son- Edward W. Davis, married to the former Susie (Weimert), Schellsburg; Daughter- Barbara M. wife of Doug Belair, Santa Fe, TX; Daughter- Janet L. wife of Barry Housel, Schellsburg; Son- Joseph R. Davis, Wilson, ND; Brother- Roy Erb, Ithaca, NY; Sister- Charlotte Rollins, Johnstown. She is also survived by 10 grandchildren, and 9 great grandchildren and preceded in death by her daughter Cecelia. A Funeral Mass will be held at St. Thomas the Apostle Catholic Church, Bedford, PA. at 10:00AM on Saturday, August 25th with Father Richard Tomkosky, celebrant officiating. Committal at St. Thomas Catholic Church Cemetery. Friends are invited to call on Friday 2-4PM and 6-8PM at Mickle-Geisel Funeral Home where a vigil will be held for the deceased. Online condolences may be expressed at www.geisel funeral.com.